Are you, or someone you know, interested in a career in the beauty industry? 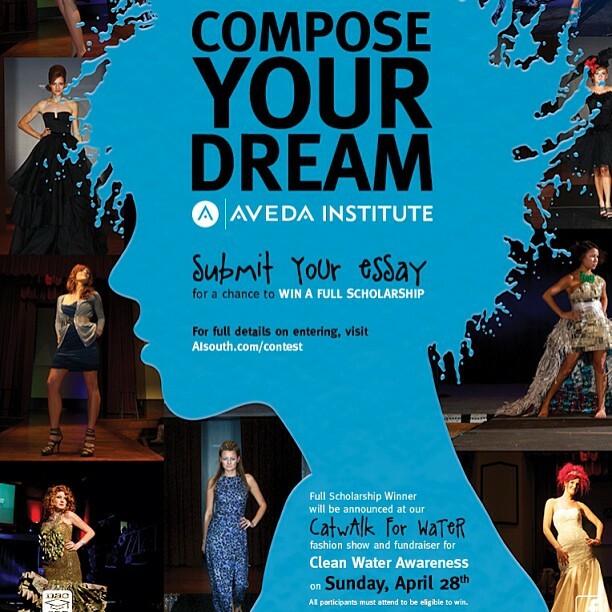 We are now accepting applications for our AVEDA Institute Scholarship Contest. 1. Fill out our general information form here. You will be contacted by an AVEDA Institute Admissions Manager. 2. Complete a typed essay, 300 words or less, about why you are interested in cosmetology and why you want to pursue your career at the AVEDA Institute. 3. Submit your application (plus application fee) and essay to your Admissions Manager. 4. Deadline to submit your essay is April 19th, 2013 at 5:00pm. 5. If your essay is chosen, you will participate* in a fashion show contest on April 28th for a chance to win the full paid scholarship. *Includes creating a fashion makeover for the fashion show contest.